You can get Las Vegas limo service for any occasion - bachelor party, wedding, prom, or birthday party. World-class vehicles, unmatched service and extremely courteous and attentive drivers will make your experience unforgettable. 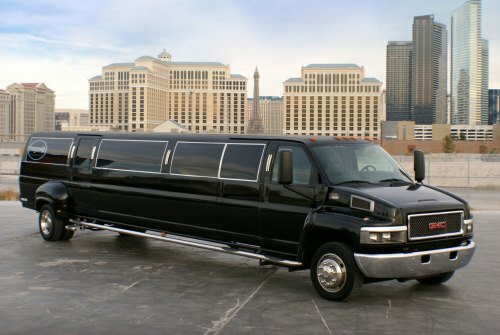 These limousines are for any number of people from 1 to 45, and any itinerary within Las Vegas. The packages below are some sample service packages - you can request your own - simply use the links to the contact form provided and let them know what you want! Prices for Las Vegas limos rentals vary based on the package and number of people requested. All prices include driver tips and taxes. Arrive to your hotel in style from the airport, or hire a limousine as a perfect gift for a birthday, an excellent addition to a bachelor party or a wedding, or any other special occasion you want to celebrate in Vegas. 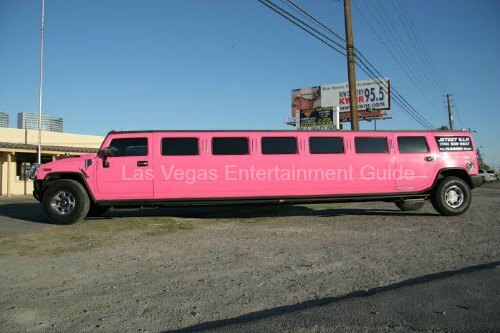 Limousines in Las Vegas can come with champagne on board, bottle service or even a stripper! 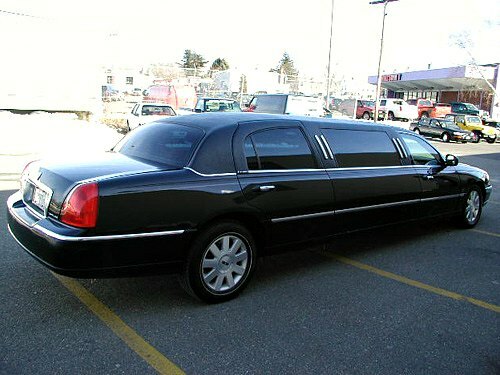 You can get a limo to go to strip clubs, restaurants, nightclubs, weddings or business conferences. You can find practically any type of limousine in the Sin City - from a small Stretch limo for 6 to Hummer to a Giant Limo for large groups up to 45 guests! A small, affordable and very comfortable Stretch Limousine is only a little bit more expensive than a taxi, and is perfect for a small and intimate group of up to 6 people. This vehicle includes all the amenities you are looking for in a Las Vegas limo service - leather seats facing each other, partition window between the driver and you for extra intimacy, and an entertainment unit. Stretch limo is perfect for airport pick up and drop off, cruising the city or partying with a small group of close friends. Do you need a cheap Las Vegas limo service for 8 to 10 people? Two very affordable limousines - one for 8 and one for 10 passengers will take your party anywhere in the comfort and luxury you deserve! With this many people it's not a question whether to rent a car or to hire a limo in Vegas - the answer is obvious! 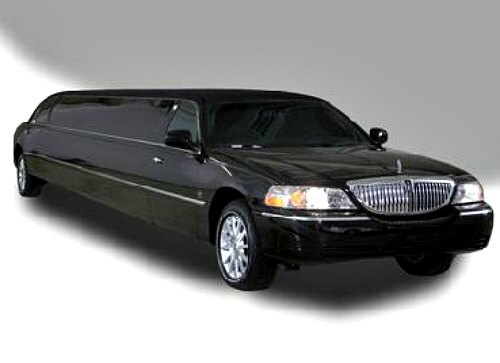 These comfortable superstretch limousines come fully equipped with tinted windows and a bar on board. And the 10 passenger one also offers a moonroof so you can stick your head out just like in the movies about prom! If I could afford just any car in the world it would be this one - Hummer limo Las Vegas / nightclub on wheels! It doesn't get any safer than a Hummer H2, and if its a Hummer H2 limousine it surely makes an impression on the passers by! 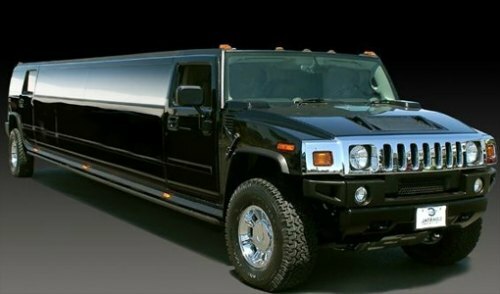 Las Vegas limo service in Hummer H2 is perfect for large groups of up to 20 people who want to have a party on board! This monster vehicle boasts all the amenities you expect from a limousine plus a glorious nightclub-like lighting! Party all the way to your destination with bar, privacy divider, entertainment unit and extremely comfortable seats! Looking for Las Vegas limo service for a bachelor party? Stretch SUV for 14 guests might be just what you need! Designed with partying bachelors in mind, this super comfortable vehicle with plenty of leg space offers everything you may desire - a huge bar on board, nightclub-style lights, tinted windows protecting your exploits from curious eyes, music and other entertainment. Coming with a nightclub lighting, fog and lots of space, Las Vegas limo service in a Superstretch SUV for 22 people will make going to any nightclubs unnecessary! If you need a limousine to accommodate and entertain your large bachelor party, Superstretch SUV will come in handy. Large TVs, music, lights and a bar on the limo will make for a perfect bachelor party. 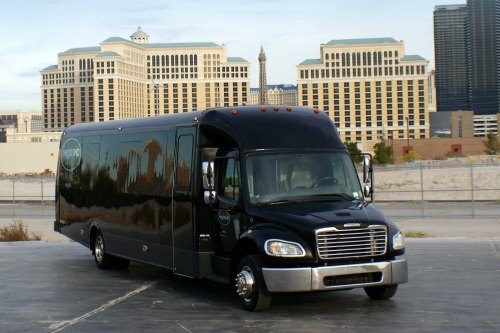 With these Las Vegas Party Bus packages, club tours are so passé! This magic vehicle is equipped with a DJ, a bar, a stripper pole, nightclub lights and large TVs. 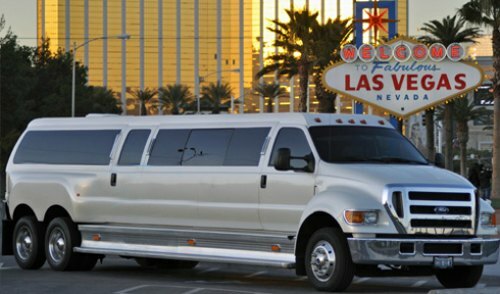 You can hire this Las Vegas limo service as a shuttle between nightclubs and strip clubs, or have the party of your life right on board! Dance yourself or hire an exotic dancer for that pole, bottle service, unlimited beer - after all, dreams do come true in Vegas! 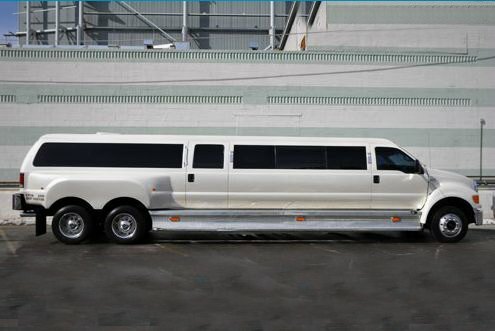 This bus-sized monster vehicle, able to accommodate up to 45 people, is the largest limousine in the world! If you need Las Vegas limo service for a large group of people to go to a wedding, bachelor party or a business conference, this Giant Limo is your only answer. Heck, with 3 private rooms, nightclub lights and enough room to get up and dance, you could celebrate your wedding right inside this Giant Las Vegas limo bus!